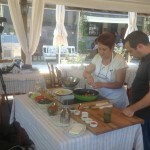 Mount Athos Area Organization | The sea of Olympiada travels to Bulgaria! The sea of Olympiada travels to Bulgaria! 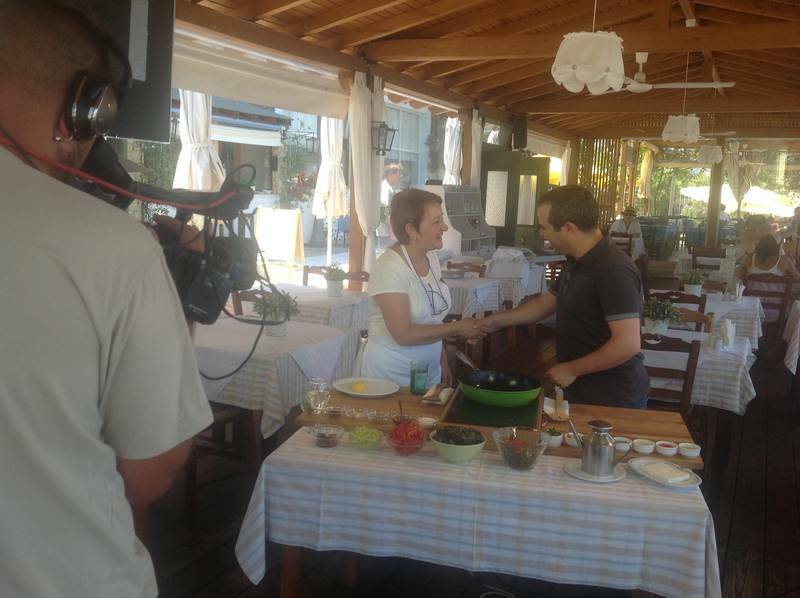 Icons of magnificent natural beauty from the verdant Aristotelian Mountain and the golden beaches of Olympiada were recorded by the cameras of the Bulgarian Prime time TV Show titled “Zvezden’s Kitchen”, whose representatives visited the homonymous village on 22, 23, 24, & 25.07.2013. 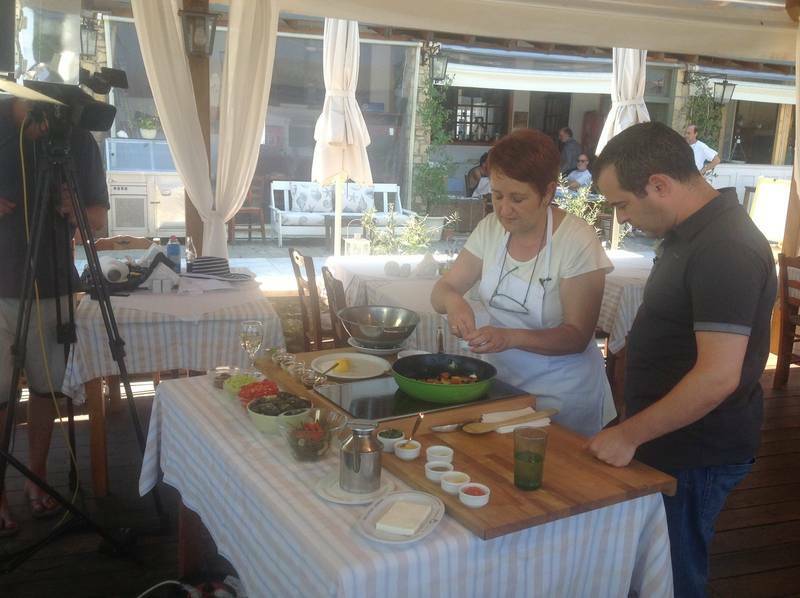 The topic of gastronomic production which is organized revolves around the “Mussels of Olympiada” and the “Summer Tastes of the Aristotelian Mountain”. 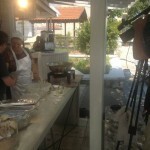 For this reason the TV show’s lens captured shots of the local mussels cultivations and the collection of the famous Olympiada’s mussels, when in the same way it was recorded the various ways of their cooking. 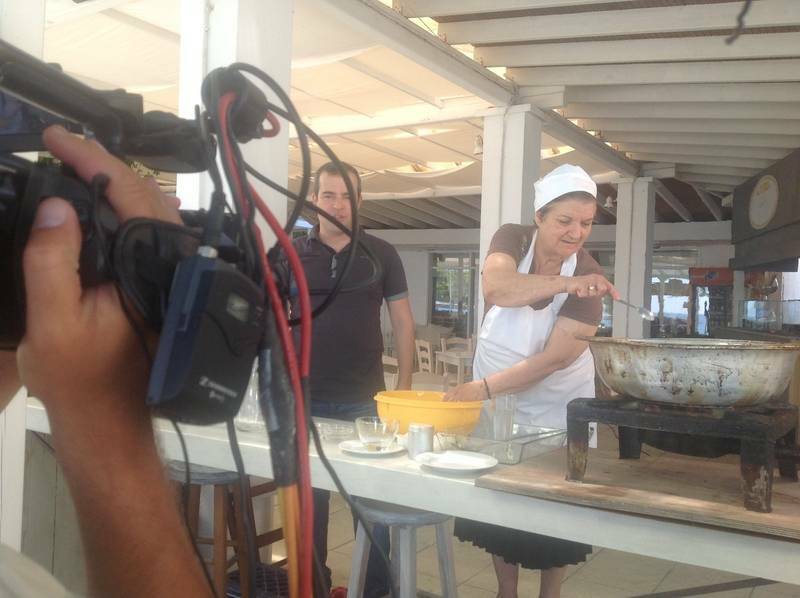 At the same time the representatives of the TV show recorded ways of cooking traditional pie stiffed with kritama, local fish soup “kakavia”, made by fish and seafood, cooked by captains on caiques, and preparation techniques for famous “loukoumades” with Arnea’s honey, and the local liquors- made with fruits and cranberries of the Aristotelian Mountain. The shots took place outdoors, so as to promote the local culinary habits combined with the alteration of the landscape (mountain-sea), and to promote the unbelievable local colour combination of green- turquoise- blue. 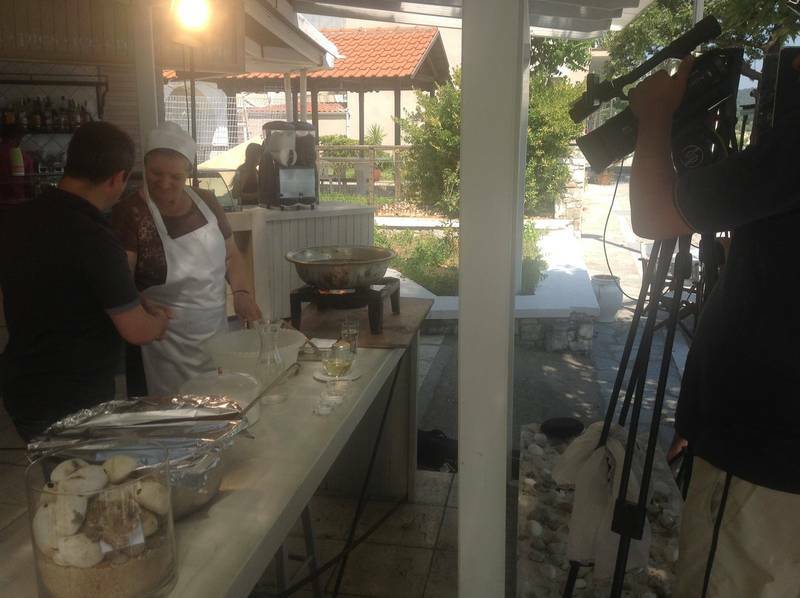 The TV show will be divided in four parts and broadcast in Bulgaria at the beginning of September.